Inside The Costume Box: Get a Free Costume from Costume Box! Costume ideas, theme party help, and more from Australia's biggest and best online costume shop! 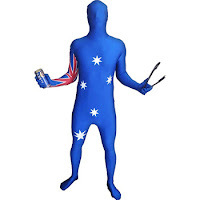 Our blog brings you ideas for fancy dress costumes, creative parties, and news, photos and D.I.Y. on everything for your next event! 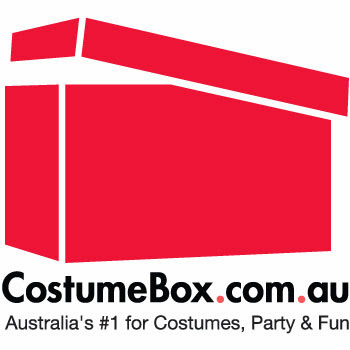 Get a Free Costume from Costume Box! We're giving away a free costume every month to one lucky person that wants to be a Costume Box Field Reporter! If you are going to a music festival, sporting event, big theme or holiday party - we want you to Tweet the event and get some pictures for us. Simply, 'like' us on facebook and let us know why you deserve a free costume for your event! We've got over 3000 costumes online at Costume Box, and one of them is waiting to ship to you! 3. We'll choose a winner on the 15th of every month. 4. If you win, we'll ship your costume and arm you with the details to Tweet your fancy dress event and post some pictures for us.